How can I easily navigate the forums? 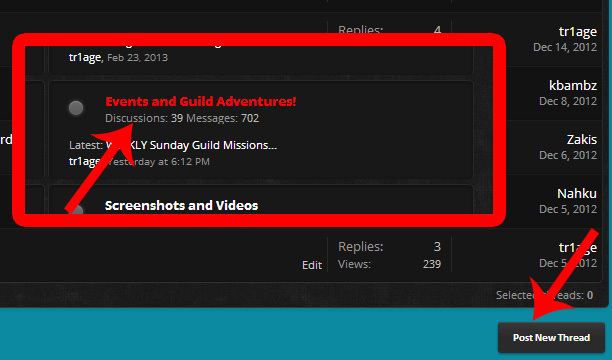 Here are a few tips for navigating the forums with ease. First let's talk about how this was posted here and how you can do the same thing! 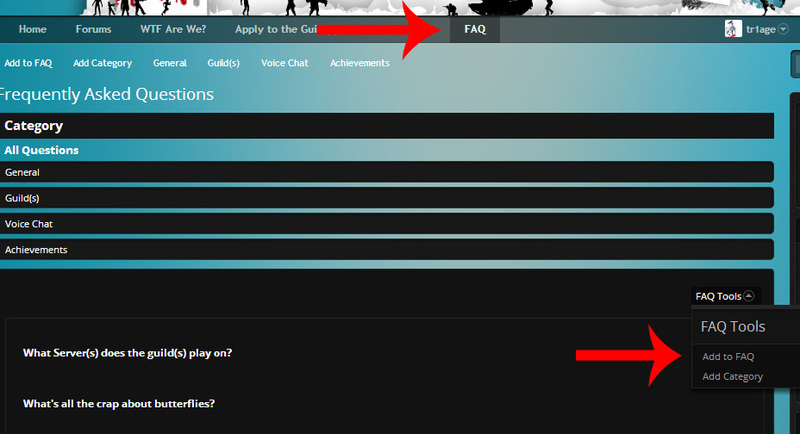 When you click on the FAQ link you scroll down and see the categories for questions as well as the most popular questions. You can add to this question list yourself! Think of it like the alttabme.com wiki. Just hover over FAQ tools pointed out above and click Add to FAQ. Vuala! You have submitted your own FAQ question to help others where you may have been stuck at one point as well! 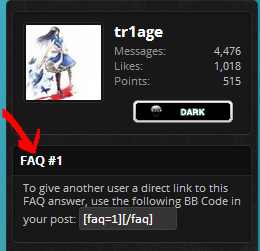 You can also share FAQ entries in your posts with other members who may have questions that have been answered by using the code provided in the sidebar of said FAQ question, this is a great way to not have to repeat yourself and also give the most information to those who may need it. So are you a new member or been gone for awhile? Maybe you just feel like you cannot catch up but want to see all the new topics popping up as they do. Well if you are viewing the forums there is a button calledMark Forums Read, once clicked it will literally do just that, mark every forum as read. You can also go into a specific forum such as Front Page News and that Mark Forums as Read will ask if you want to apply it to that forum only. This makes it so you can clear our some forums and not all if you want. Don't want to miss one article?! If you click the "What's New" button it will show you every article that has been posted since you last logged in in chronological order(newest posts to oldest). 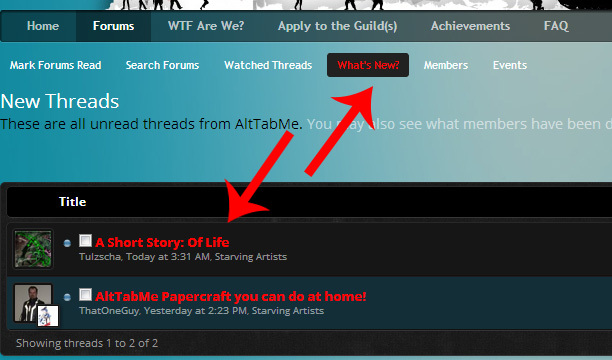 This is a great way to browse what is going and making sure you don't miss something important! 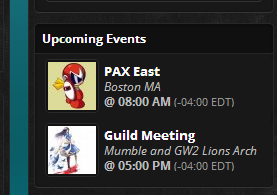 You can also click on the Events and Guild Adventures forum topic to pull up the events page as well. At the bottom of that page you can post a new thread which brings you directly to the "Event Creation" form to make events yourself! This is a great way to organize events in RL and in Game that you wish to host! 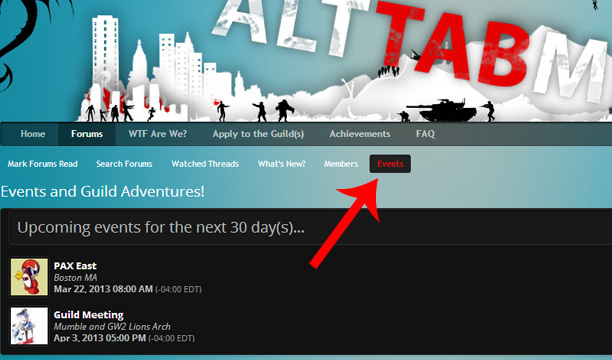 Once an event is created you can click on the Events Forum and RSVP, this helps the host know who is coming, thinking of coming, or cannot make it. 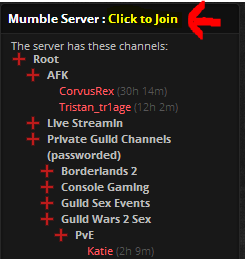 For events Mumble is a great communication tool, and it just got even easier to join the server. 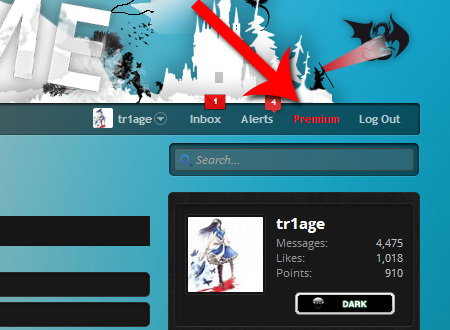 In the sidebar the Mumble block shows who is online and what channel they are in. As well you can click the "Click to Join" text and it will launch mumble for you and send you directly to the AltTabMe mumble server! You can add to this guide information that you find helpful as well. Hope it helps!